No more hiding behind that glass of wine. As a college student, stories that begin with "Oh, last weekend, when I was super drunk..." or "Yeah, I don't remember doing that..." are common. There's this idea that has been perpetuated by these stories that we act ENTIRELY different when we are intoxicated. In fact, someone who claims they don't act differently is the odd man out. But where did this idea come from? Do we actually act differently when we are drunk? Are we a "truer" or "more realistic" version of ourselves? The truth, honestly, is underwhelming. Based on a recent study conducted at Purdue University and the University of Missouri, your sober self is not much different from your drunk self. The study took 156 participants and gave them a survey two weeks before the experiment began. In this survey, they asked the participants to attribute certain personality traits with either their drunk-self or sober-self. Then, on the day of the experiment, half of the group was given Sprite and vodka while the other half was given just Sprite. Both groups were asked to complete a series of tasks and were then judged by sober observers. The results of this experiment were surprising to both the observers and the participants. The intoxicated participants claimed they were more open and less contentious and agreeable, but the observers claimed they showed little difference from the sober participants. So it seems, really, that our perception of ourselves when we are drunk is different than how we are actually acting. Either that or when we are sober, we fail to see certain aspects of our personalities that become apparent when we are intoxicated. Either way, it's interesting to learn that our sober-self and drunk-self are so closely related. In some ways, I think this idea is freeing. A lot of people claim alcohol gives them courage. Allows them to talk to people they wouldn't normally talk to or dance like no one is watching or let their hair down and just take a minute to enjoy life. Well if you think about it if this study has really proven that sober-you and drunk-you are one and the same, then why can't you be like that all the time? You don't need alcohol to be courageous, or outspoken. You don't need a shot just to dance in your living room for fun or let your stress fade away. The ability to be carefree, kind, free-spirited, and happy... to be talkative and funny... it's always there. Always a part of your personality. So don't be afraid to let the real you shine through even when you're sober. These simple tips will make your next pregame the best one on the block. As I am preparing for my last formal of college (sad girl vibes) I felt like I should make a master list of all the tips and tricks I have learned from four years of throwing pregames. Add these simple tricks and you will have people banging on your door wanting to join. I always love making a Facebook page to invite everyone on that has the time and address, so people can find it in a central location. Plus, you can add some funny pics to get everyone hyped for the event. Here is an example of the playlist I will be listening to at our formal pregame. This is essential. 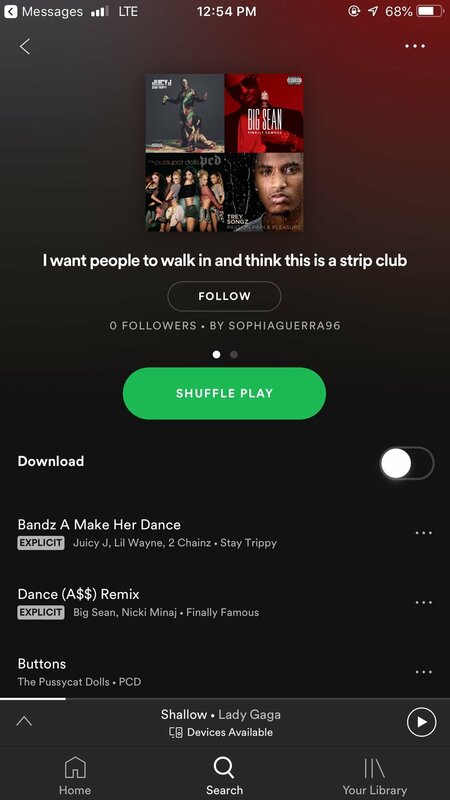 You want a good blend of the newest hits and those sing-along throwbacks that everyone loves to belt out (think "I'm In Love With A Stripper" vibes). The next important thing after you have your amazing playlist is to have a speaker that has a pretty loud volume. Pro tip: we just got a speaker with a microphone attached to it and its seriously life changing. Ever since my sign night, this punch (we call it our magic potion) has been a staple at every pregame we host. It's super magical because it tastes fruity and yummy and hides the taste of alcohol. Be careful though, this can make you really drunk quickly if you don't pace yourself. Plus, you can have some popcorn to grab if any drama goes down. No one really thinks to have snacks at a pregame, but if you have a little something on the counter to pick on, people will always gravitate towards it. My favorite combo is popcorn and M&Ms. We love a salty and sweet moment. Actual footage of me cleaning my apartment before a pregame. It seems self-explanatory, but I'm super OCD, so I always wipe down all the countertops, sweep and clean the bathroom that everyone will be using. Also, make sure to take out all your trash so you have a fresh trashcan people can use. This is why you hide the breakables. Simple. Just put everything someone could break or get dirty in another room. Thankfully, we don't really have anything super nice in our apartment, so this step doesn't take too long. Everyone loves when there is a specified wall for people to take photos. Add a cheap colored tablecloth to the barest wall in your apartment and you have a DIY backdrop. Extra points if you get a banner and some balloons. If you have a friend that has a nice camera, tell them to bring it. People die over a good Nikon. If not, a Lumee case is great for extra lighting purposes, plus, you will feel like a Kardashian. Add these to any party you host and you are guaranteed a good time!